Nighttime Bowls to Sooth the Mind | What's it Like? I picked up my little bubbler pipe today and loaded a nice bowl of top shel Ogre and blue dream hash; still working on the hash. I got a lot of it specifically for alternating it between sativa and indica flowers. 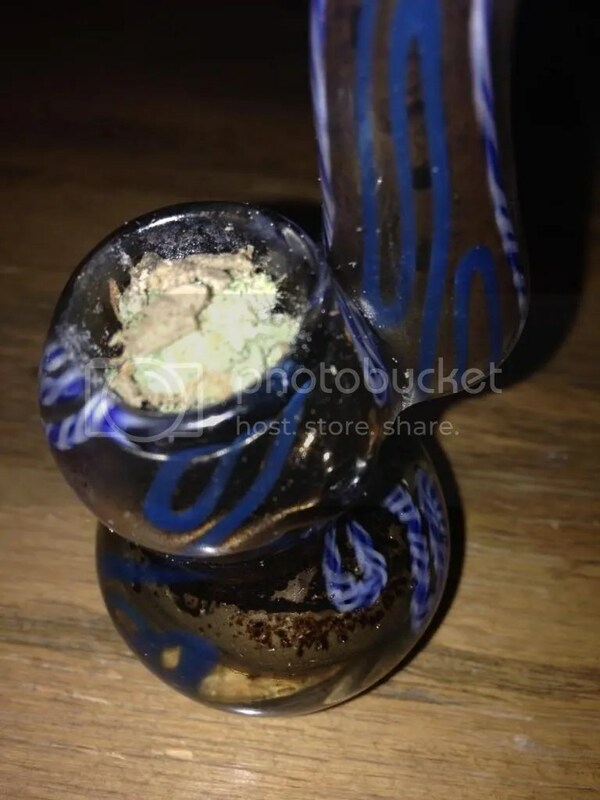 We got this bubbler as a holiday special after splurging on a nice bong lol. Small, but does the job. And was free! Heyyy. ← I’m starting to get the gist of things. Reblogged this on 4:20 Smokers Blog. I love Night time bowls!!! I always get a refreshing sleep on cannabis..